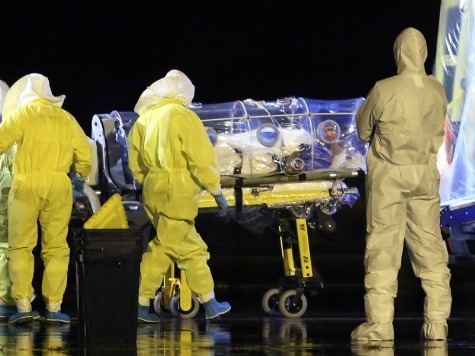 Government ministers and medical professionals are among dozens of people taking part in a huge Ebola readiness exercise across Britain on Saturday. During eight hours of activities at secret locations across the country, actors were simulating symptoms of the deadly virus to test the response of emergency services. Some staff wore personal protective equipment to ensure a realistic atmosphere for the exercise. Health Secretary Jeremy Hunt was chairing a simulated meeting of the government’s Cobra emergency committee. Prime Minister David Cameron organised the exercise to ramp up Britain’s contingency plan against Ebola, which has killed more than 4,000 people in West Africa. The Department of Health has not revealed the locations of Saturday’s exercise. A spokeswoman said: “The public can be assured that we have been planning our response to an Ebola case in the UK for many months now since the outbreak started in West Africa. It is vital that we test these plans in as realistic a situation as possible – with real people. Cameron this week defended the decision to introduce enhanced screening for the virus at major airports and terminals, saying it had been taken on “medical advice”. “Enhanced screening will initially be implemented at London’s Heathrow and Gatwick airports and Eurostar terminals,” the government said in a statement on Thursday. It said this would include researching passengers’ recent travel history “as well as a possible medical assessment, conducted by trained medical personnel rather than border force staff”. The government said this would offer “an additional level of protection” on top of screening of passengers boarding planes in Guinea, Liberia and Sierra Leone. “However, it is important to stress that given the nature of this disease, no system could offer 100 percent protection from non-symptomatic cases,” it added. A Number 10 spokeswoman said the decision to introduce enhanced screening for Ebola was based on advice from the Chief Medical Officer Dame Sally Davies.